Summer is finally upon us, our favourite time of year, and there aren’t many better places to enjoy the onset of this beautiful weather than in Shawnigan Lake, BC. Shawnigan Lake is a small community nestled in a lovely valley on Vancouver Island, surrounded by breathtaking landscapes, and wrapping around a peaceful lake. Over 7500 residents live here year round, but the population swells in the summer, with vacationers visiting from all over, and there is no wonder why. Not only is it a beautiful place to stay, with a stunning valley surrounding the lake and a charming village, but there are also many great attractions for our guests to visit and we have included just a few of our favourite ones in this list. At the Eaglenest Sanctuary, we are fortunate enough to be only a ten-minute walk to the historic Kinsol Trestle bridge. 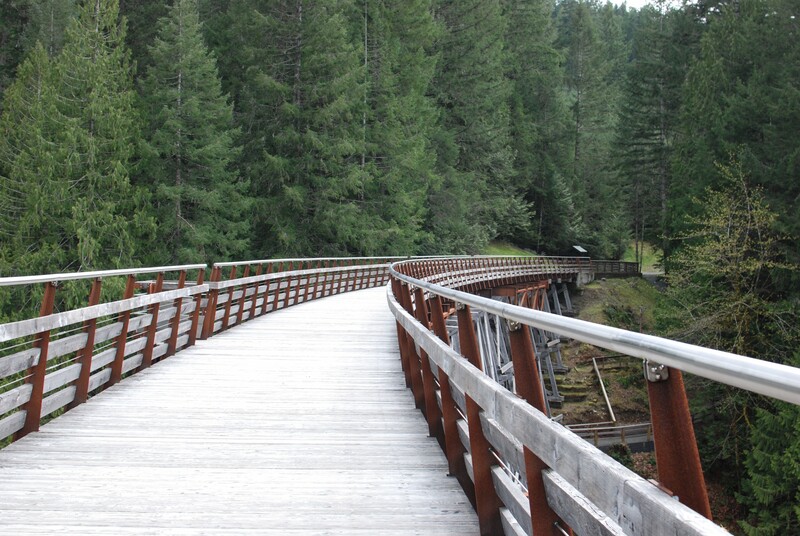 You can enjoy a short hike through the woods, taking you on a direct route to the bridge without even having to set foot on a road. The bridge itself is nothing short of spectacular, showing off real architectural ingenuity and you can witness some of the beautiful views that Vancouver Island is famous for. Of course, nothing is better than the town’s namesake, the lake itself. The large lake stretches for approximately 8 km long and is surrounded by beautiful forested hills. If you’d like to relax on a lakeside beach and go for a swim, there are several lovely waterfront parks for use during the day, scattered around the lake for public access, and even a secluded park on an island that is accessible only by water. 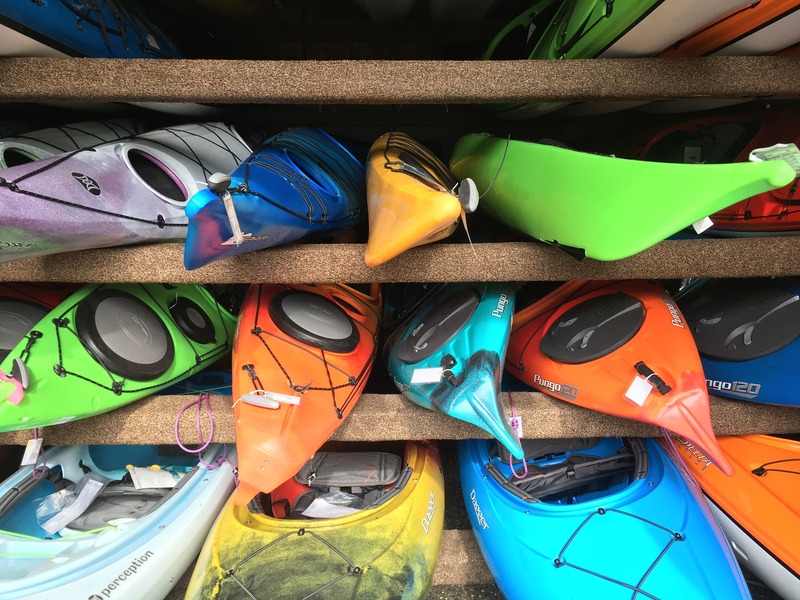 If you’d rather take a boat out on the water, whether you like paddle boarding, jet skiing, or kayaking, there are plenty of water sports options available for rent at the Shawnigan Lake Board Shop. Unsworth Vineyards is a local treasure, and well worth the visit for a taste of their amazing selection of handcrafted, award-winning wines. Their tasting room is open daily to visitors, but if you save your visit for Wednesday to Sunday you will find their restaurant open also, serving delicious and locally sourced food as well as their wide selection of wines. Located in the heart of Cowichan Valley’s wine country, enjoy the amazing view while you eat at the restaurant as it overlooks the stunning vineyards and gardens. At Eaglenest Sanctuary we have a lot of big groups staying with us, so be sure to book your wine tour and make a reservation for their restaurant to enjoy their extraordinary tastes and hospitality. As you relax in the riverside hot tub, sipping on your Unsworth wine and listening to the peaceful sounds of flowing water, perhaps you will find yourself missing city life. 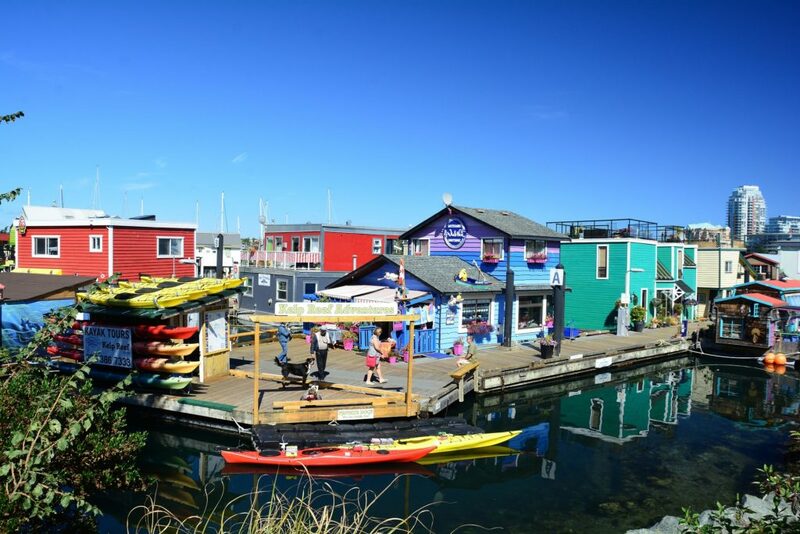 Fortunately, Victoria city is only an hours drive away and makes for a perfect day trip. In Victoria you will be delighted to find a place filled with culture and history, being one of the earlier settlements in Canada. Be sure to visit the famous Royal BC Museum, perfect for families with children, or take a water taxi to the beautiful Fisherman’s Wharf for ice cream on a hot day. There is no shortage of good food to try in Victoria or things to do, and the hot tub will be waiting for you at the Eaglenest Sanctuary when you get home. Should you find yourself needing a break from all the sun over the weekend, the charming town museum is open from Friday to Sunday. The staff are incredibly friendly, and their wonderful tour guides will shower you with interesting stories and details on the many artifacts and exhibits on display. Combine this with your visit to the Kinsol Trestle bridge, and you can learn everything you need to know about it at the museum. We hope you enjoy your visit to Shawnigan Lake as much as we love hosting all the amazing people that come to stay at the Eaglenest Sanctuary. We love this town, and all the wonders it has to offer, and we get a feeling you will too.